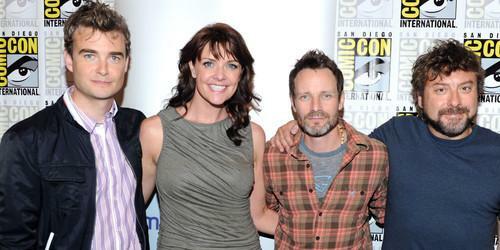 Actors Robin Dunne, Amanda Tapping, Robin Dunne, and creator Damian Kindler attend "Sanctuary" Panel and Press Conference at Hilton San Diego Bayfront Hotel during Comic-Con 2010 on July 24, 2010 in San Diego, California. In today’s news: Candy Land will be like Lord of the Rings… with candy; will social media be in the classroom, a darker version of The Little Mermaid may be coming our way, and Kurt whips up another round of trivia for us to tackle. Interview: This week’s guests are Damian Kindler and Amanda Tapping, and they’ve come to share what they can about Sanctuary, some of the things that have gone on, and where things are headed in Season 3. 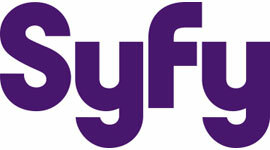 Oh, yeah… minor SPOILERs contained here if you haven’t been watching on Syfy. Listener comments: If you have questions or comments on any news items or scifi projects, or topics that are relevant to our favorite entertainment genre, Call our show and ask! Really enjoyed the interview this week with Amanda and Damian. One of your best. Does Amanda have a portrait in her attic that is aging? She looks so good! I mean, Stargate SG1 started in 1997! I agree, Great INterview. I just wish the Ausio was better when she was talking.